5 weeks a year. 5 local non-profits. 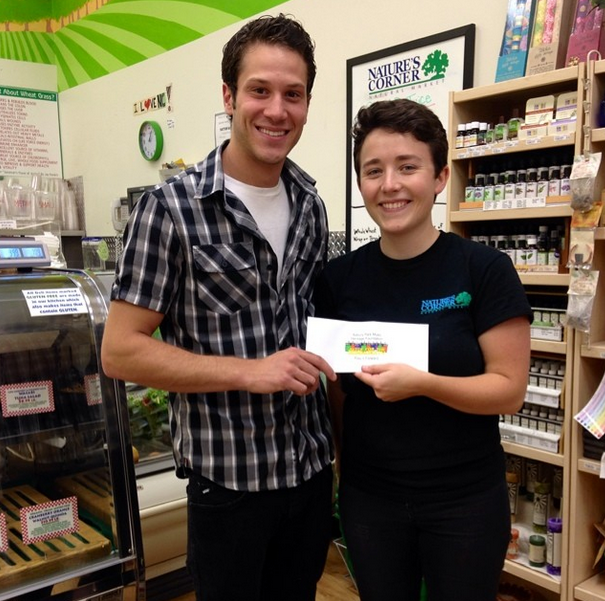 5% of one week’s Organic Juice Bar sales donated directly to great groups doing great things for our community. To give back to the local community that supports our mission and values here at The Corner, 5 weeks per year we will donate 5% of one week’s Juice Bar sales to a local non-profit organization. Volunteers from these local non-profits join our staff members to help bag groceries, do carry-outs, and speak with customers about their organization. These local non-profits spread the word to friends and neighbors about their 5% JUICE WEEK and invite them to support through their patronage. JUICE FOR THE COMMUNITY week is a fantastic way to spread the word about your local non-profit and to raise funds in a friendly environment. 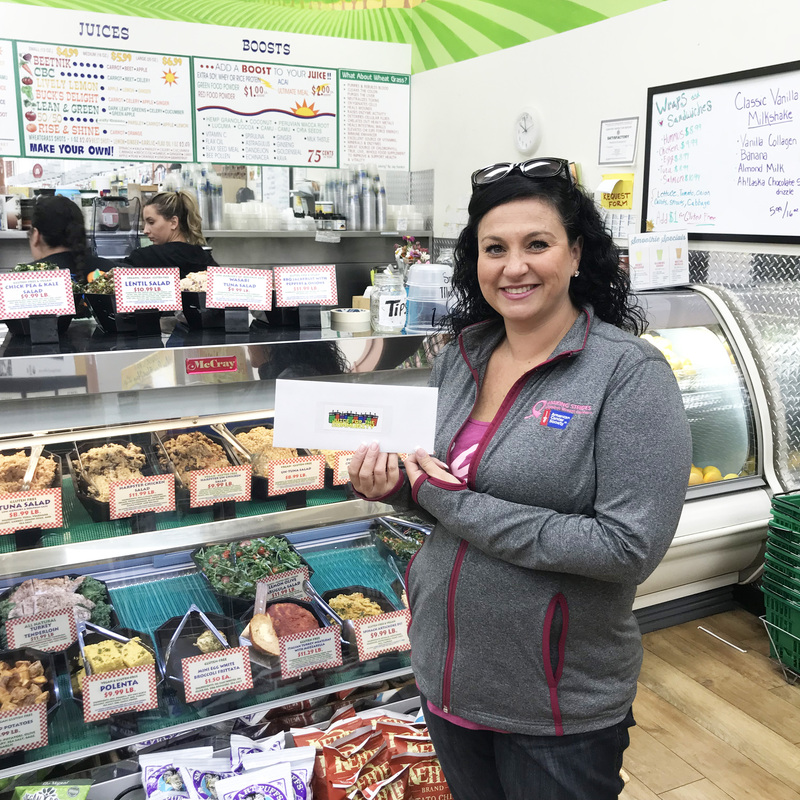 In October 2018, we donated 5% of our organic juice bar sales to Making Strides Against Breast Cancer of Point Pleasant Beach through the Northeast Region of The American Cancer Society! The money contributed to their Making Strides Against Breast Cancer Walk in Point Pleasant. The walk raises awareness and funds to save lives from breast cancer. The event brings people together to make a difference for everyone who has been touched by breast cancer and raises money to fund innovative research, provide free information and support, and to help people reduce their breast cancer risk or find it early when it’s most treatable. 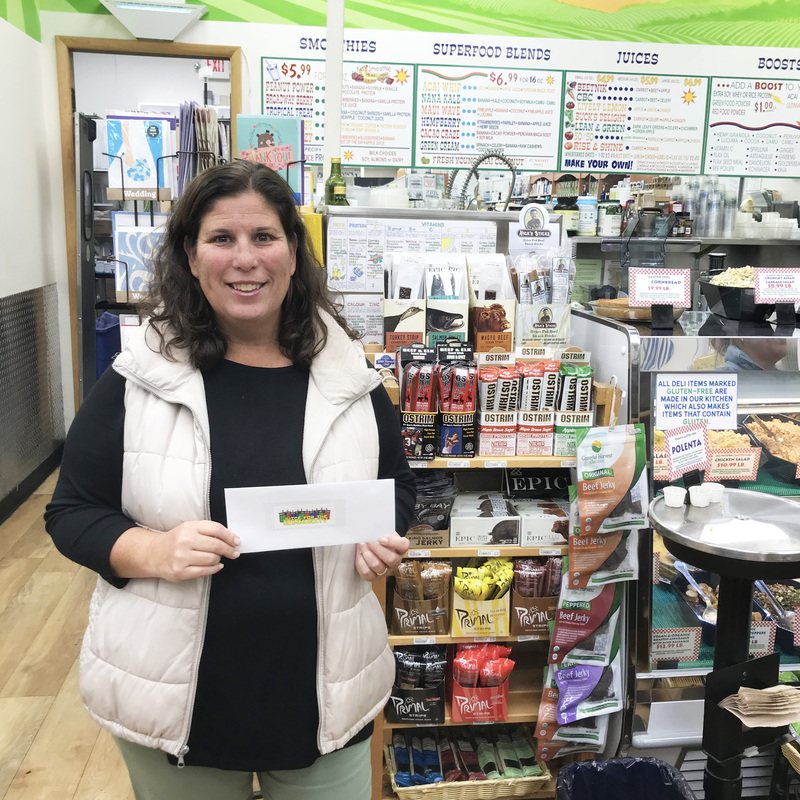 In September 2018, we donated 5% of our organic juice and smoothie bar sales for one week to Wall Helps Its People (W.H.I.P) of Wall Township, NJ. The 100% volunteer run organization has been serving Wall Township for over 40 years. All donations to W.H.I.P. go to Wall Township families in need of assistance with things like medical bills, crisis emergencies and more. They also partner with local food banks and run a holiday toy drive each year for children in the hospital. 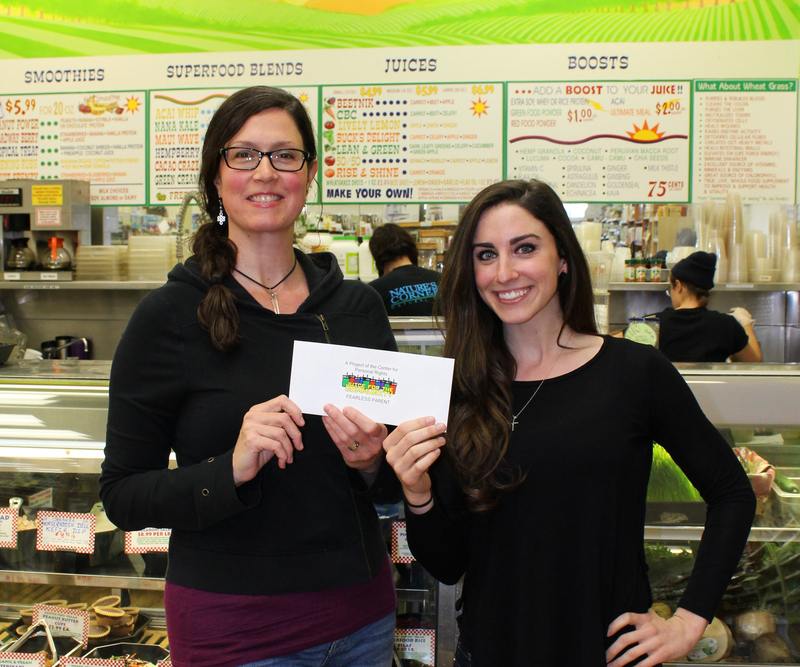 In December 2017, we donated 5% of our organic juice and smoothie bar sales for one week to Community Compass of Toms River, NJ. 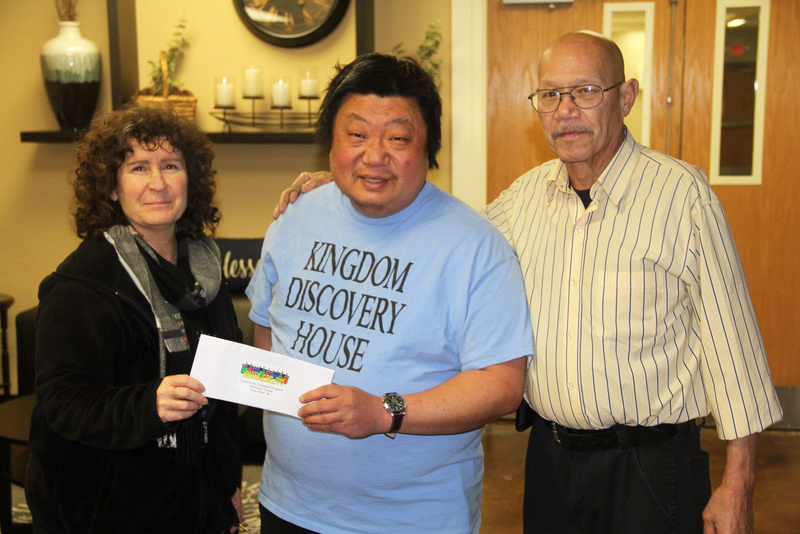 The local non-profit works to provide those who are homeless with shelter, food, clothing and other essential items. 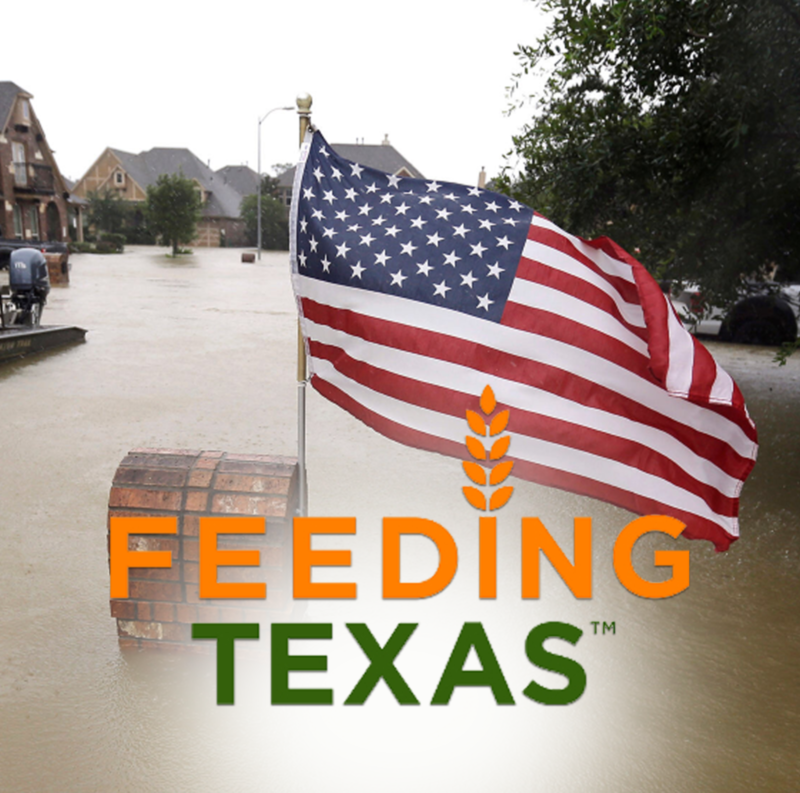 In September 2017, in the wake of Hurricane Harvey and the devastating aftermath it left across Texas, we donated 5% of our organic juice and smoothie bar sales to Feeding Texas from Austin, TX. 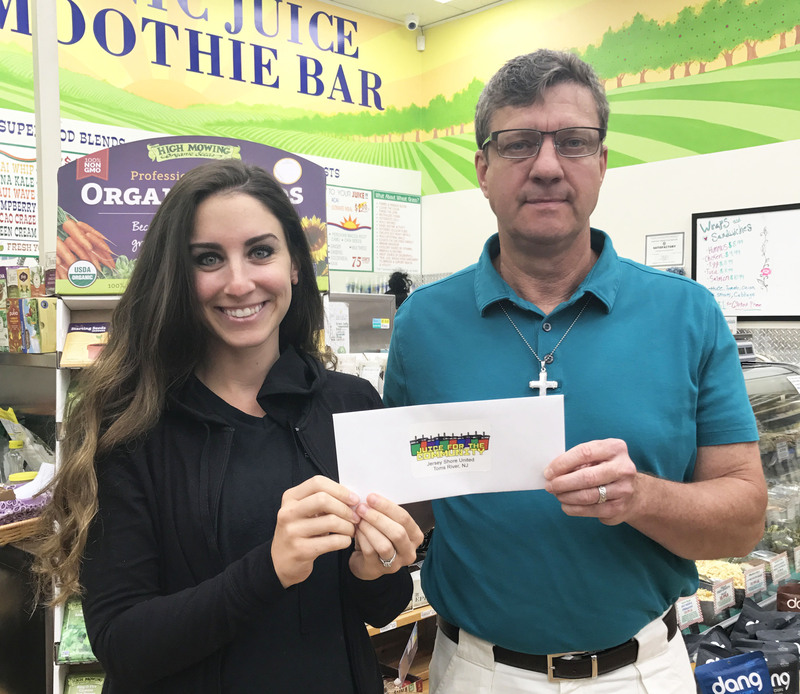 While our Juice for the Community program usually supports local non-profit organizations, we felt the urge to extend our help to those in dire need in Texas. The non-profit steps in to organize donation coordination, direct distribution to the affected public and distribution through partner agencies to ensure that food, supplies and other assistance reaches families in need quickly and efficiently. In August 2017, we supported Jersey Shore United in Toms River, NJ. The local non-profit organization currently works to bring tangible support to families who are still in need after being impacted by Hurricane Sandy and other natural disasters. JSU offers support in the form of content replacement, small construction project assistance, volunteer labor and neighborhood collaboration to help restore these families and get them home. 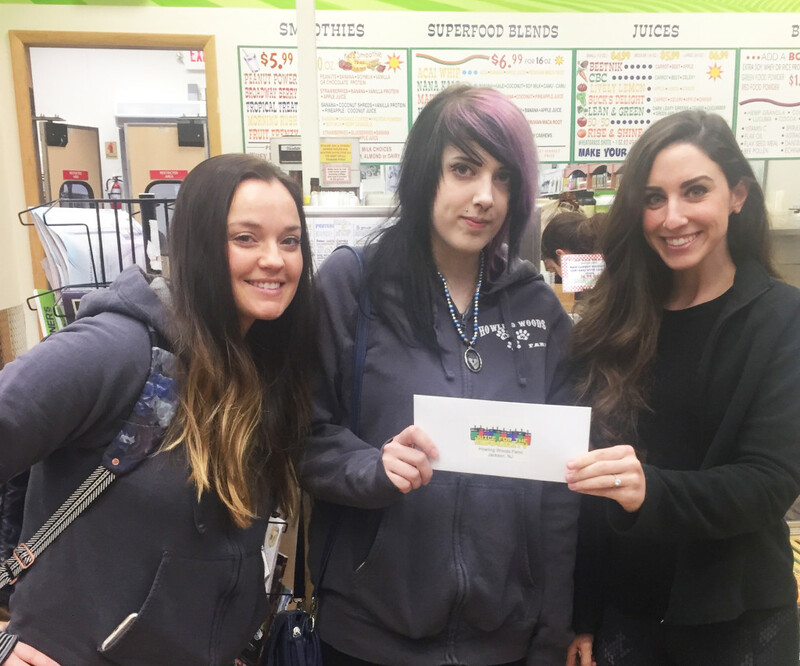 In March 2017, we supported Sunshine Girl Charities in Manasquan, NJ. The mission of the local non-profit is to create a brighter future for coming generations by focusing on the needs of some the world’s most vulnerable, specifically, children, animals and the environment. Some of their projects include tree planting programs, community giving gardens, collection drives and more. 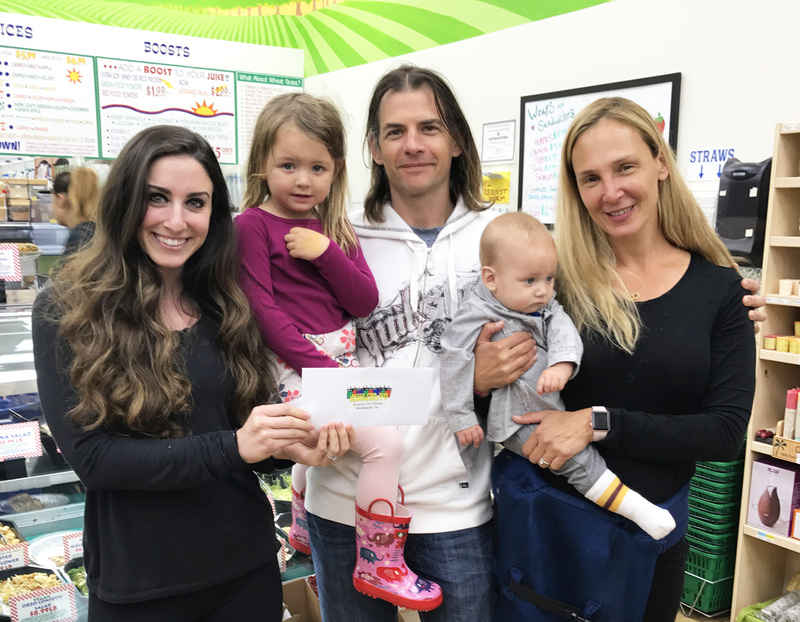 In November 2016, we donated 5% of our organic juice and smoothie bar sales for one week to Allaire Community Farm in Wall Township, NJ. Located on 22.5 acres of beautiful land, the farm is a peaceful place people can go to take a break and enjoy nature, rescued animals and healthy produce. They desire to give back to the community in any way they can by providing a caring environment for children with special needs and at risk young people who need encouragement. They also offer free or low cost organic produce to families in need or those with cancer. 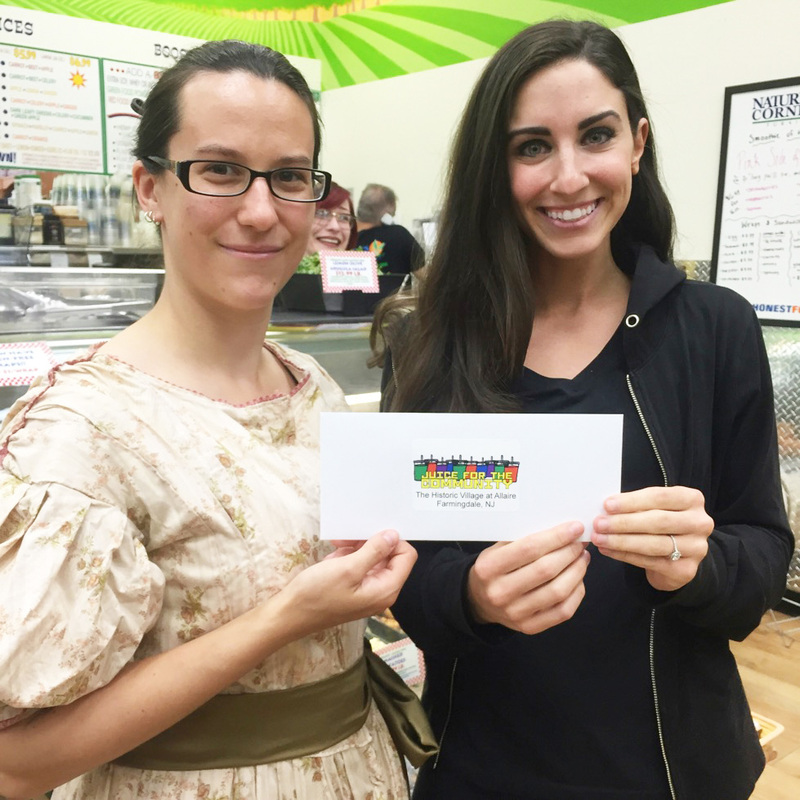 In June 2016, we supported Seashore Celiacs, Celiac Support Association (CSA) #96. 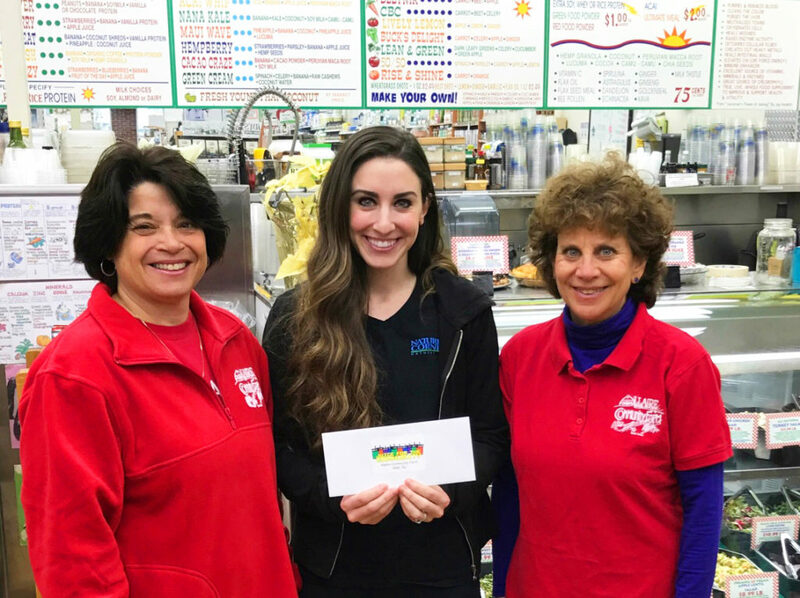 The local group supports those who are affected by Celiac Disease (CD) and Dermatitis Herpetiformis (DH) in the Jersey Shore area and is based out of Wall Township, NJ. 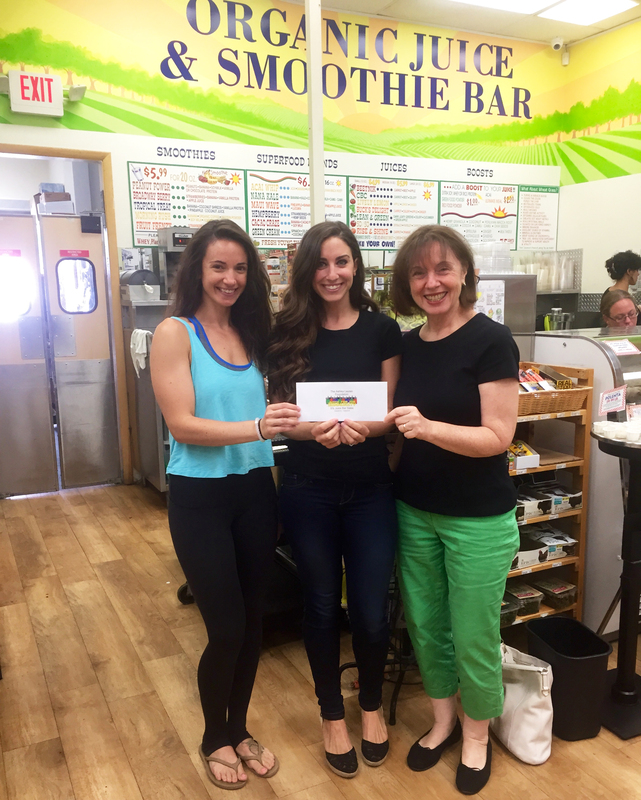 In May 2016, we donated 5% of our organic juice and smoothie bar sales for one week to The Historic Village at Allaire in Farmingdale, NJ. The local non-profit educational and historic preservation organization works to preserve, while educating the general public, on the Howell Works Company, an early 19th Century iron producing community and on the life of James Peter Allaire, a prominent 19th Century marine engine manufacturer. They also demonstrate and preserve the everyday life of ordinary people in the 19th century. 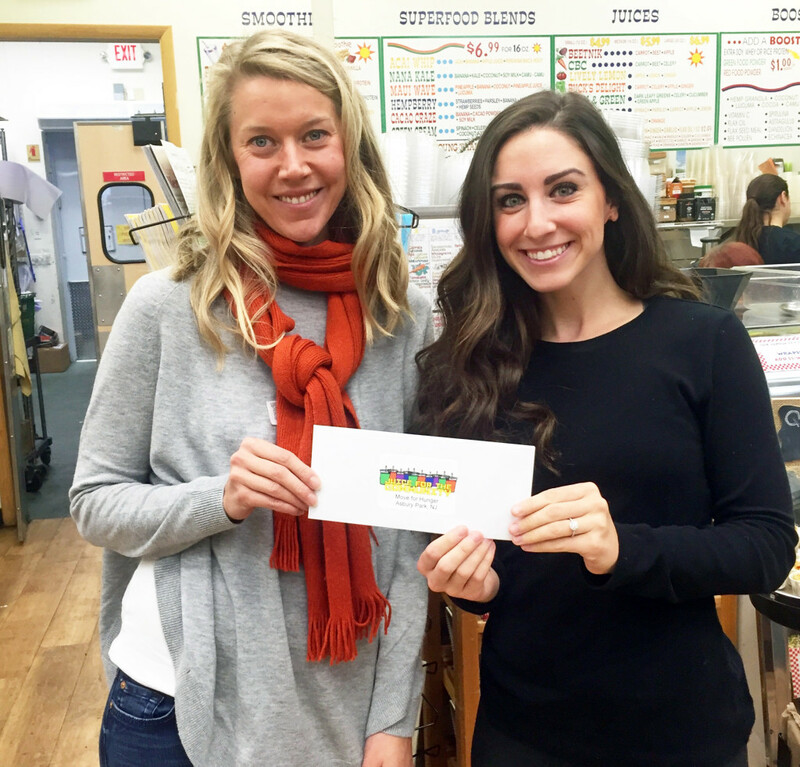 In January 2016, we supported Howling Woods Farm in Jackson, NJ. The local organization rescues and places domestic bred wolves, wolfdog hybrids and northern breeds in an environment appropriate for them. They also provide education and information to the general public about wolves and wolfdogs. We even got a visit from two of their wolfdogs, Samson and Takoda! In September 2015, we supported Move for Hunger in Asbury Park. The non-profit picks up unwanted, non-perishable food items from those who are moving across the country and deliver it to their local food banks. 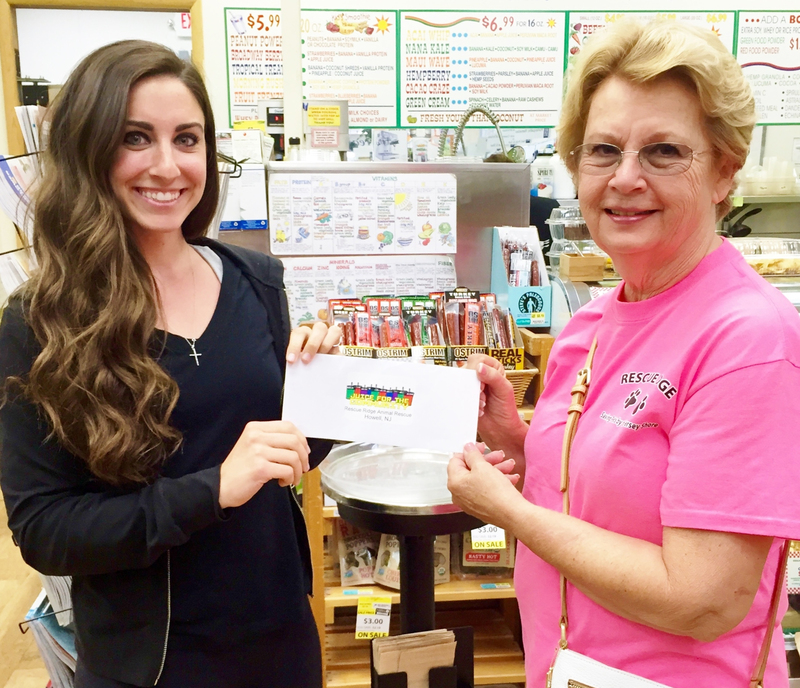 In July 2015, we supported The Ashley Lauren Foundation during our third Juice for the Community of the year! The non-profit organization’s mission is to provide hope and help to children in New Jersey with cancer through financial, material and emotional support. In May 2015, we supported Rescue Ridge, a local “last-chance” animal rescue in Howell, NJ. The rescue is staffed 100% through the efforts and donations of volunteers. Through the kindness of various boarding kennels and foster families, rescued animals are cared for until they find their “fur-ever” homes. 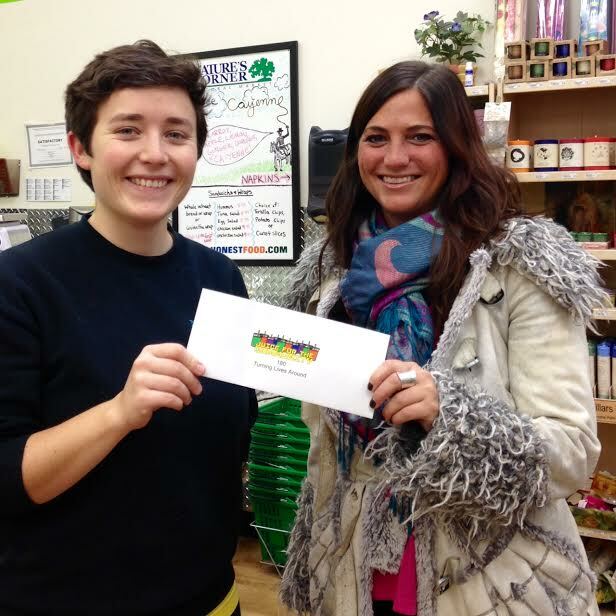 Our seventh Juice for the Community (March 2015) supported Fearless Parent. The innovative online platform offers information, commentary, and original content on unconventional, evidence-based news about health, wellness, green living, and holistic parenting choices. 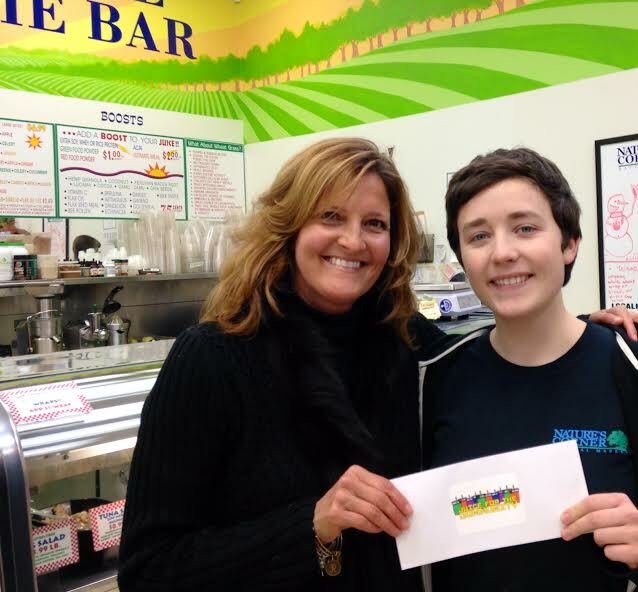 And Juice for the Community #6 (December 2014) supported the Timothy Schenke Light of Hope Scholarship Fund, a Spring Lake Heights-based nonprofit organization dedicated to recognizing and rewarding exceptional kindness and empathy in Manasquan High School seniors. 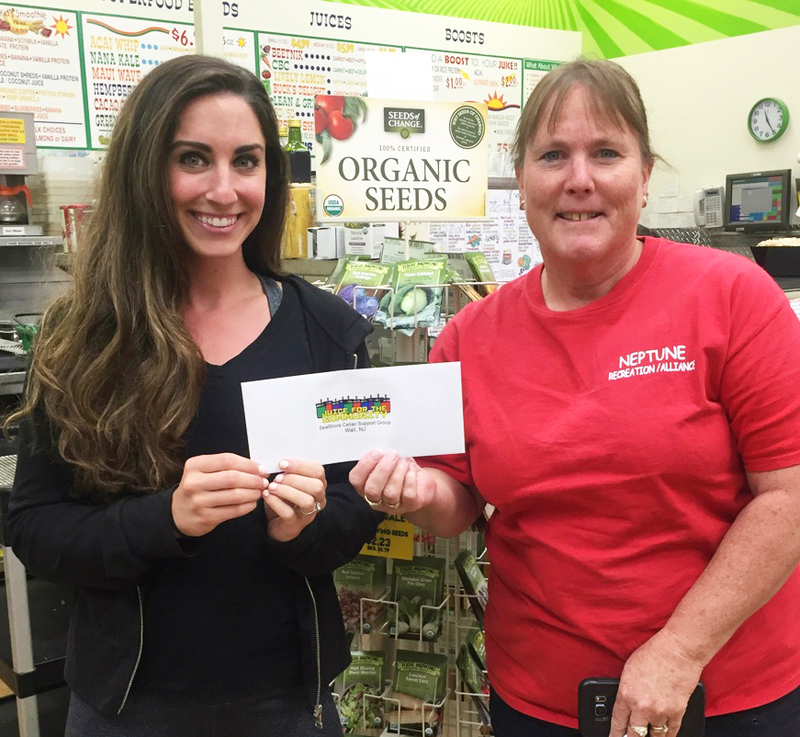 Juice for the Community #5 (September 2014) supported 180 Turning Lives Around, a Hazlet-based nonprofit organization dedicated to ending domestic violence in our Jersey Shore community. 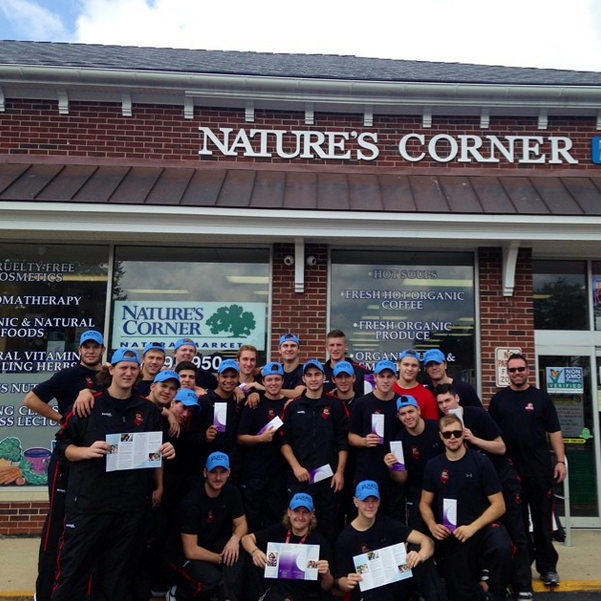 The Jersey Shore Wildcats hockey team is pictured below; they stopped by during the week to raise awareness for 180 as well as our Juice for the Community program! Juice for the Community #4 (July 2014) supported Play it Forward, an Asbury Park-based scholarship program aimed at providing music education opportunities to local families and individuals with limited financial resources. 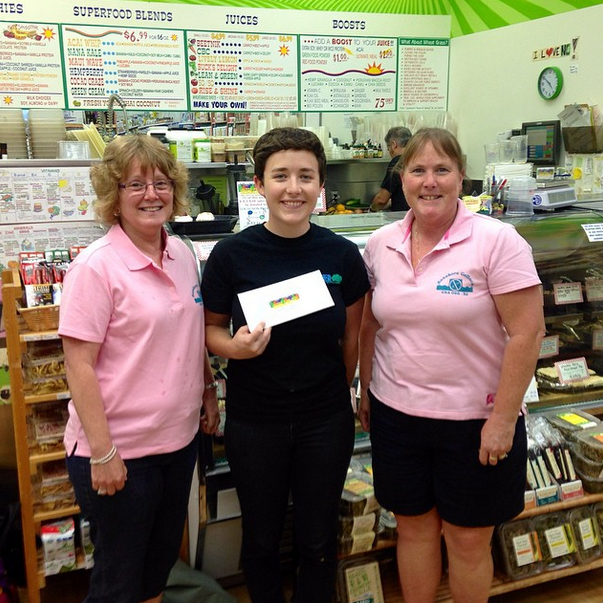 Our third Juice Week was held May 12-18, 2014 to benefit the SeaShore Celiac Support Association, a local nonprofit that provides programs and information, as well as raises awareness, for members of our community afflicted with Celiac disease. Each summer they hold a big gluten-free picnic, which we are continuously happy to be a part of! 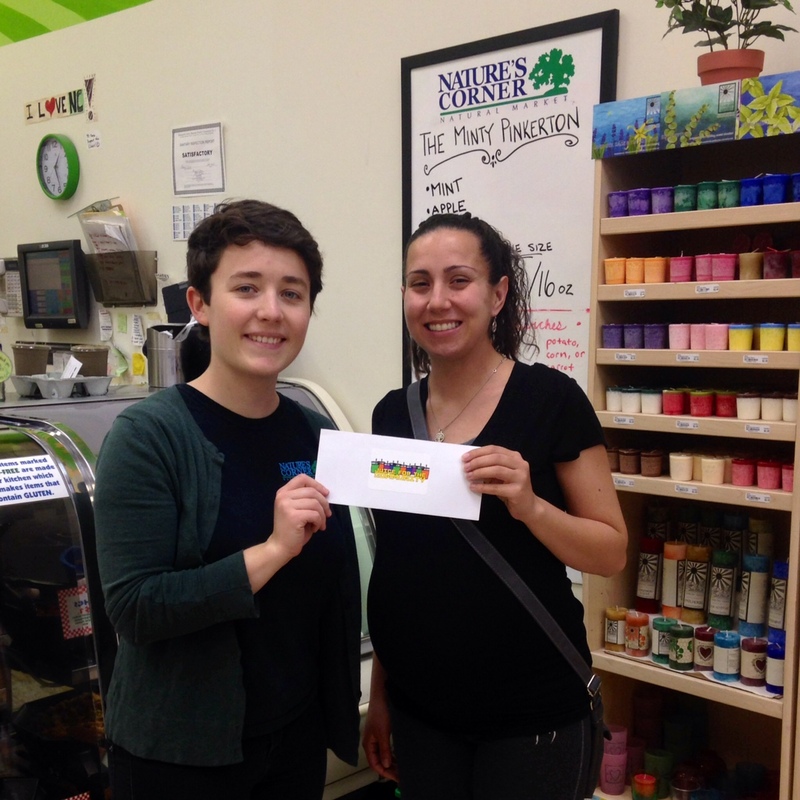 Our second Juice for the Community initiative took place from March 17 – 23, 2014 to benefit Wag On Inn Rescue in Oakhurst, NJ! 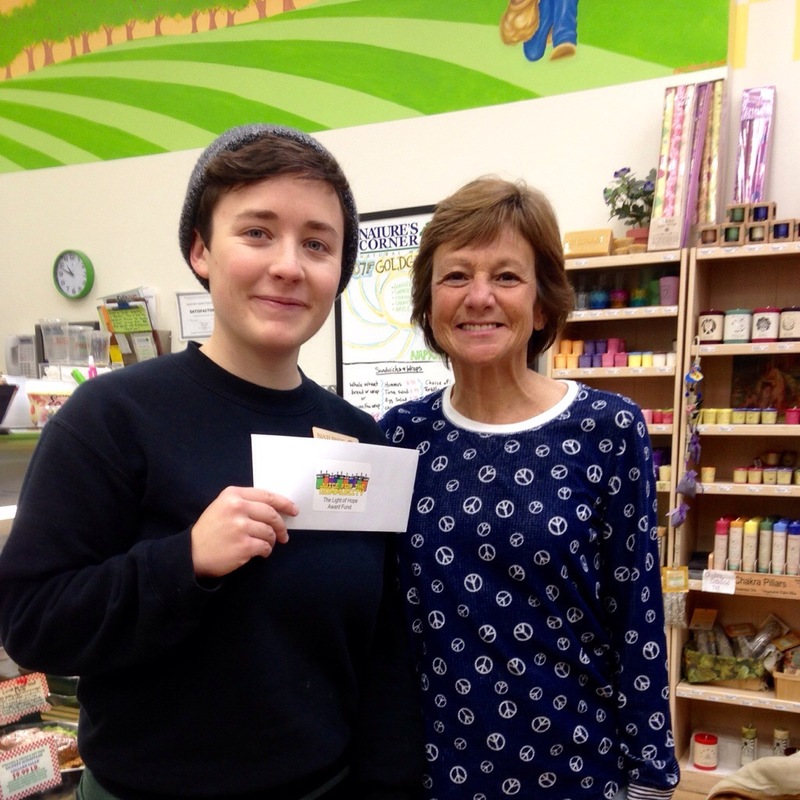 Our first JUICE WEEK was January 13 – 19, 2014, in support of Mary’s Place by the Sea in Ocean Grove, NJ. Mary’s Place by the Sea provides an innovative approach to caring for women with cancer during and after treatment. They offer individual oncological massage, guided meditation, nutritional counseling, spa services, group workshops and overall support in a 6-bedroom lakefront bed and breakfast located in Ocean Grove. Since opening in May 2009 Mary’s Place by the Sea, a non-profit organization, has served over 2500 women free of charge throughout the tri-state area.